The most recent US census on payroll shows that about 100 million people work as employees for paychecks. Anyone who has ever received a paycheck probably wonders how all the taxes were calculated and if the payroll tax calculations are right. 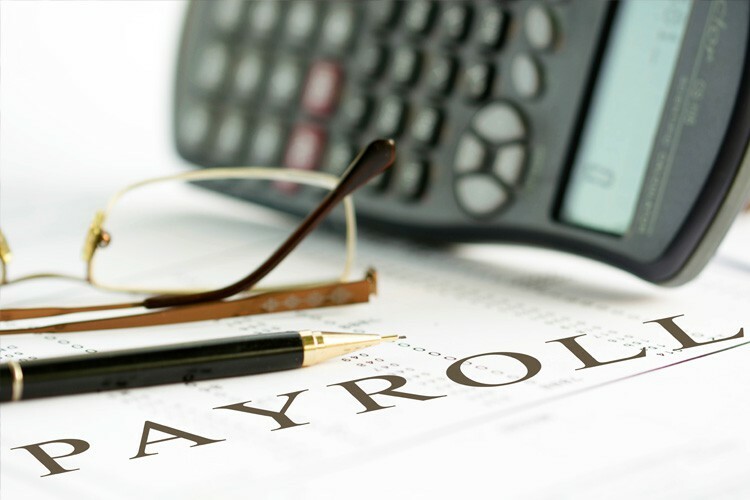 A typical employee paycheck can be divided into several components, incorporated into the calculation of various taxes and net pay. Gross Earnings: It includes salary, commission, bonus, overtime pay or others earned from performing the tasks of an employee. It does not include money earned by an employee (or anyone) from non-work related activities. For example, the employee could win lottery, receive stock dividends, interests from savings or other sources. Deductions: Before employee payroll taxes are calculated, the gross taxable earning may be adjusted by non-tax or pre-tax deductions. Deduction is an important concept in US tax system. It is used to promote certain policies, encourage certain behavior and achieve specific goals. For example, to encourage employees to save for retirement, IRA (Individual Retirement Account) contribution can be deducted from gross earnings before income tax is calculated, reducing the withholding amount. However, the IRS deduction does not apply to Social Security or Medicare taxes. This is a pre-tax (pre-income tax) deduction. Non-tax deduction reduces taxable gross earnings for all taxes. For example, insurance premium paid by an employee for a qualified premium only plan (POP) is non-tax deduction. The deduction is like a salary reduction, lowers taxes and not reported on the W-2. States may have different rules for allowable deductions from that of the IRS. For example, a 401K or other retirement plan contribution can’t be deducted from Pennsylvania withholding calculations. Payroll Taxes: For employees, payroll taxes include Income, Social Security, Medicare taxes for Federal and income tax withholdings for States. Some States or local governments may have other payroll taxes, including State Disability or partial Unemployment Insurance. After Tax Adjustment: Employers may also receive requests from the State to withhold child-support, alimony or back taxes from employees’ paychecks. From each employee paycheck, after all deductions & taxes have been computed, the after-tax adjustment is deducted, resulting in a lower net check amount. The employer then makes payment to the State to meet the withholding obligations. Although payroll tax laws apply to all employees equally, the Federal and State income tax withholdings can be controlled by the employees. There is often not a “right” or a “wrong” income tax withholding amount. While social security, medicare and other taxes are fixed for everyone, the income taxes are really just “estimates”. Payroll tax withholding is an important foundation to an employee’s income tax reporting (1040s). When an employee files his or her Form1040 tax return at the end of the year, income tax is calculated based on the total earnings for the year. If too much income tax was withheld from the paychecks, the employee gets a refund. If too little was withheld, the employee has to pay with the 1040 form. In summary, employees should understand that income tax withholding on a paycheck is an estimate based on marital status, dependents, pay cycle and taxable earnings. If needed, the income tax withholding can be adjusted up or down on the paychecks while other tax rates are typically fixed.